My friend and fellow author, Emma Jameson, asked me the other day if I’d ever considered just writing a straight love story. I don’t have patience for too many romantic complications. I prefer couples who team up to figure out who killed the mysterious blackmailer or just what the hell is making that noise in the pipes. So let’s discuss some of my favorite love stories littered with corpses. That’s a fantastic summary of Parker’s work. Hard-boiled and sentimental. 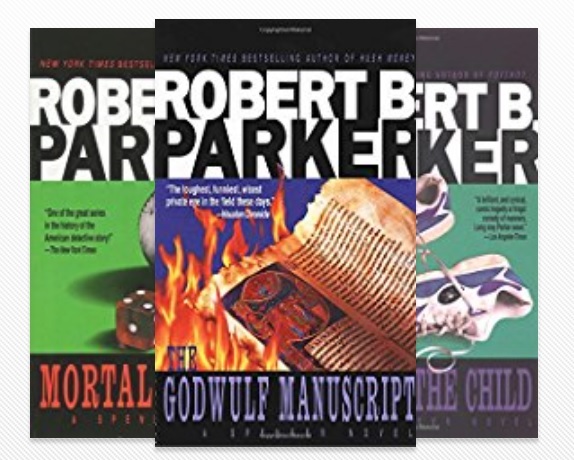 There are 39 books in the series written by Parker. Another author picked it up after his passing, but I prefer to stop there. 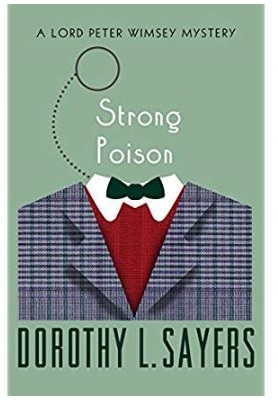 Sayers wrote a lot of Lord Peter Wimsey books, but I’m only including Strong Poison, Have His Carcase, Gaudy Night, and Busman’s Honeymoon in the love story category. Harriet Vane is a divisive character among fans of Sayers’ stories of an English lord with a bad case of nerves solving mysteries in the 1920s and 30s. Sayers created a character that she fell madly in love with, so she wrote herself into the books. Like Sayers, the character of Harriet Vane is an educated mystery writer with a scandalous past. Sayers has volumes to say about the position of women at the time, relationships between the sexes, independence, and the nature of love and honor. These books were written in the 1920s and 30s, so you’re getting the straight scoop on how it was at the time, not filtered through the lens of today. These books are not sentimental, but the mysteries are solid and the relationship between these two extremely logical people trying to make sense of love is endearing though sometimes frustrating. As I said, these were written in the 1930s. While, in some ways, Sayers was forward-thinking, in others she is constrained by notions of class and the roles of men and women of her time. Sayers acknowledged her critics in the introduction to Busman’s Honeymoon, saying that while the love story might seem like an intrusion on the mystery to some, to the character the mystery is an intrusion on the love story. The story of a heartbroken widower meeting up with a tough-talking state-trooper is a favorite of mine. Both characters are fish out of water in a small Connecticut seaside town. He’s a New York film critic looking for a place to hide from sympathetic friends and she’s a black woman in a sea of old-money Yankees. Do these two opposites attract? You betcha! Does the small town have a higher murder rate than a Colombian slum? Of course it does. 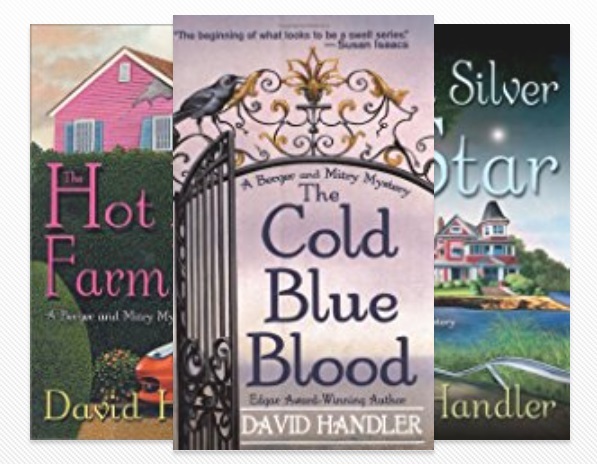 I like these books because they explore the small New England village theme without getting too cutesy. I like the love story because it feels very adult (not in the bom chicka wow wow way). There are 11 books in the series. 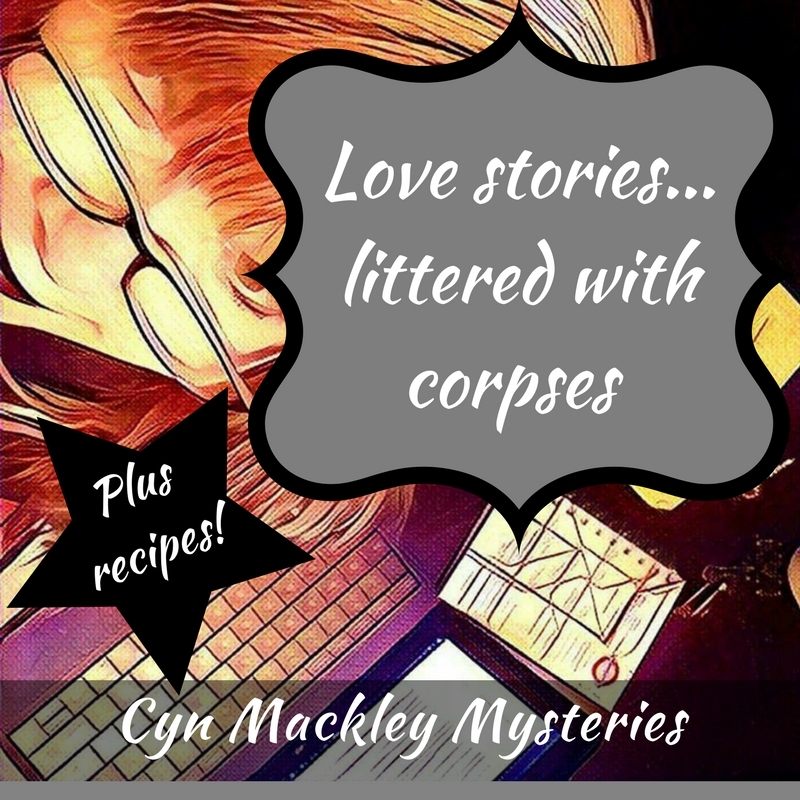 Of course, my favorite corpse-littered love stories are the ones I write. Yes, shameless self-promotion is my specialty! I have awards for it! Checkout my romantic boneyard by clicking here. Next Next post: Did you download these malware-loaded apps?